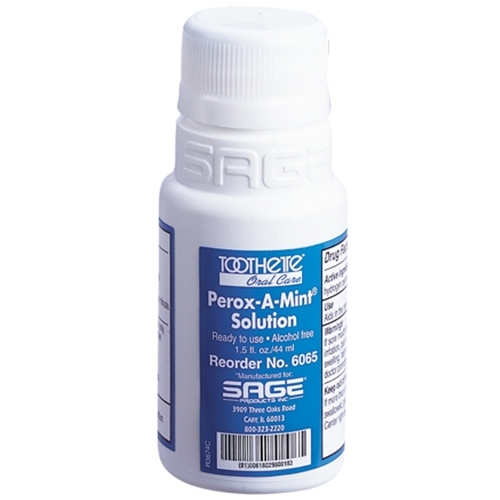 Sage Perox-A-Mint Solution from HealthyKin.com is a mint flavored, 1.5% hydrogen peroxide solution rinse that cleans and debrides without drying. It is non-alcoholic and safe for use on tender oral tissue. Great product for those who need it. Used it in hospital following surgery when I could not use normal oral hygiene products. Bought for a friend who could temporarily not use regular products. Shipped without delay.